In nearly every bar in China dice games delegate who drinks and when. The game is an easy and deal way to meet Chinese locals and break down the language barrier but travellers to China face the difficult task of learning the games tricky rules. So here it is, the step-by-step guide to the infamous Chinese dice drinking game. 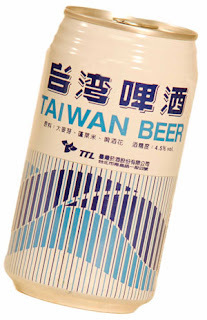 Refreshing beverage and cultural icon; Taiwan Beer (台灣啤酒, Táiwān Píjǐu, or 台啤, TáiPí) is perhaps the most iconic brand of the island nation for which it is named. A great looking can and strong branding are great but can the beer behind the brand live up to the hype? Magkeolli (also known as Makkoli or Makuly) is a Korean rice beer that resembles milk in appearence but it is fizzy, sweet like apple cider, around 7 % alcohol and altogether delightful!